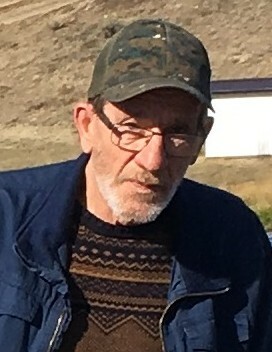 Brian Steinley, age 62, passed away Saturday, November 10, 2018 on his beloved acreage near Rush Lake, SK. Brian Stewart Steinley was born February 24, 1956 to Wilmer & Velma Steinley in Swift Current, SK. Brian leaves to mourn his wife, Liz; his sons, Kirk and Tyler (Nicky); his grandchildren, Emily, Ezra, Korvin, Madison, and Summer; his siblings, Loel (Glennis), Kevin (Lori), Trevor, and Sherry; his brother-in-law, Ray (Isla); his nieces and nephews; and by many cousins and friends. Brian was predeceased by his precious daughter, Tara; his parents, Wilmer & Velma; his mother-in-law, Irene; his brother-in-law, Dave; and by his nephew, Chris. Because of Brian’s love for animals, Brian was affectionately known to his wife as Dr. Dolittle. Liz remembers Brian leading his milk cow, Dolly, to the barn and following behind was a large dog, Rambo, a small dog, Pud, a cat, No Name, and a litter of five kittens. It was quite the sight. Even his pigs, chickens, and turkeys would come running to him when they spotted him walking towards the pens. Out of all the animals, his horse, Navajo, was number one. Brian got Navajo 27 years ago before he even had a place to keep her. Then he found his acreage. Brian spent many hours out riding, either by himself or with his riding partner, his cousin, Rodney. Most of his rides were south of home because Navajo would not cross the white line on the #1 highway. It took years to coax her to cross. Tara even wrote a poem about it just to tease her dad about his old Nag. He also enjoyed seeing how fast Navajo could run through the fields, even racing against Tyler on his dirt bike. To this day, they still argued about who won that bet. 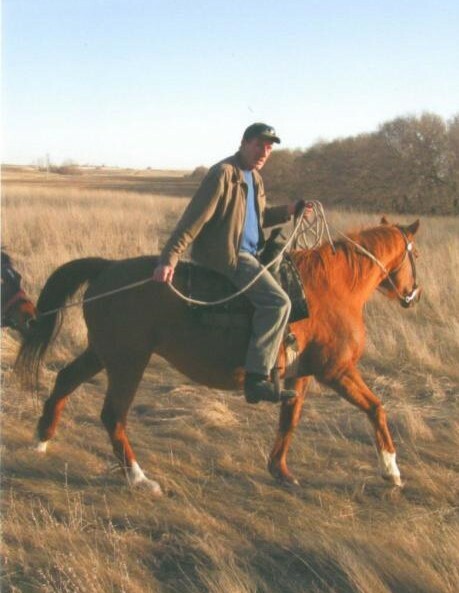 Brian and Navajo also loved to play Man Tracker, chasing and trying to rope his sons among the many rows of trees on the acreage. This was quite the rodeo show! Brian also had each of his grandchildren on his horse when they were just babies. 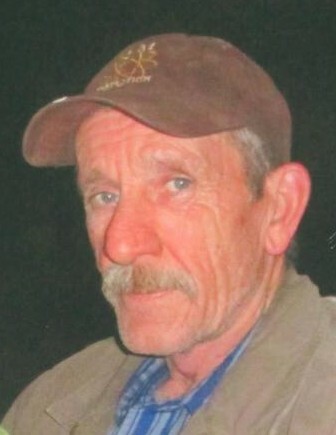 Brian was a hard worker and a jack of all trades, he instilled his work ethic in his children. From a young age, he taught them how to tear down buildings and repurpose the lumber to build their own barn. He also taught them his perfectionist ways through everything from fencing to home renos such as painting, building decks, flooring, and shingling. Even digging out a basement under the house in Rush Lake, where he became known as Badger Brian by some. Kirk and Tyler also learned from their dad how to maintain and fix vehicles, ski-doo’s, motor bikes, and boats – often because they all drove hard and fast, crashed, or broke down. Two things Brian did not teach were electrical and welding, he was very proud when Kirk and Tyler took it upon themselves to learn these trades. Kirk went to school to become a journeyman welder and Tyler to become a journeyman electrician. Brian was also very proud that Tara followed in his footsteps to become a painter. Although Brian always worked a lot, he also loved the times spent with his family. Whether it be hiking – sometimes to the extreme – sitting around the fire pit at home, or just visiting on the veranda. In the summer, it was always fun times at the Herbert Ferry Park, where they always fished until dark and used a rubber dingy to get to the island when the water was high or just walked over when the water was low. Camping at the park was always time well spent, to this day family still has a campsite there. Even in the winter months he took his family to Highfield Dam to enjoy a bonfire, roast hot dogs and marshmallows, drink hot chocolate, skate, ski-doo, and ice fish. Brian took the family on long Sunday drives on the gravel roads – the roads that he had been on in his younger years. He showed them his favorite spots, like where he swam and where his home was when he was a child, and shared memories. When Brian was younger, he enjoyed and excelled at sports. He played hockey and baseball, where he was a catcher, and participated in many track meets, where he even broke some records. When he had children, he encouraged them to participate in sports too. He built a skating rink on the extra lot in Rush Lake, complete with lights and hay bale benches so his children and the neighborhood kids could skate and play hockey until the wee hours. As his boys got older, he also coached their hockey teams in Herbert. “Hey! Where’s your knife?” Every family member has said this on more than one occasion. Brian always had his trusty knife with him and was always asked for it – to open Christmas and birthday present packaging, to loosen a screw, or pry something open. Also, to cut fishing line when Somebody had caught a bird while casting. Brian as a grandfather was very easy going and his grandchildren knew this and used it to their advantage. He was very proud of each and every one of them. In his eyes, they could do no wrong. It is hard to find a picture of grandpa without a child on his lap. Grandpa never knew the word “no,” which is why Korvin was steering a garden tractor around and around and around the yard when he was two. One summer, grandpa took Liz, Irene (aka GG), and Emily on a holiday to Winnipeg, MB. While visiting relatives in Selkirk, MB the fair and rodeo was on. So, off to the fair they went! Grandpa went with Emily on every ride, over and over and over again until grandpa got sick. And then they went some more, because grandpa just couldn’t say no! Both grandpa and Ezra have a sweet tooth, which was why Ezra could eat a whole bag of candy before supper – because grandpa just couldn’t say no. All of his grandchildren had him wrapped around their little fingers. If he could have, he would have given them the world, he loved them all so much. Brian had so many trials and tribulations in his life, but the loss of his daughter was just too much to bear. Now he can rest easy. May they dance together with the angels. But not your inner pain. That you would never smile again. How much you were afraid. Will be replaced by peace. The good times, not the bad. And not when you were sad. We won’t dwell upon its close. And forget about life’s blows. The joy and not the tears. Because you have been here. The Memorial Service for Brian Steinley was held on Saturday, December 2, 2018 at 2:00 pm from Faith Evangelical Church, Swift Current, SK with John Duncan officiating. Special music was brought by Loel, Kevin, and Brendan Steinley, who sang “Go Rest High on That Mountain.” The eulogy was read by John Duncan on behalf of the family. Tributes were given by Brian’s family and there was a time for sharing memories. The Private Family Interment Service will take place at a later date from the Rush Lake Cemetery, Rush Lake, SK. In memory of Brian Steinley, donations made to a charity of the donor’s choice would be appreciated by the family.